Since Ylvis’s big debut sometime back in 2013 with “The Fox,” curiosity about and interest for the mammal in question have both been raised (although the hype and the memes have died just as soon as people came to terms with the fact that foxes really do not produce any definitive sound). That said, it’s definitely no wonder that foxes have made their way into not only a whole slew of memes but also tons of other Free Clipart Images. 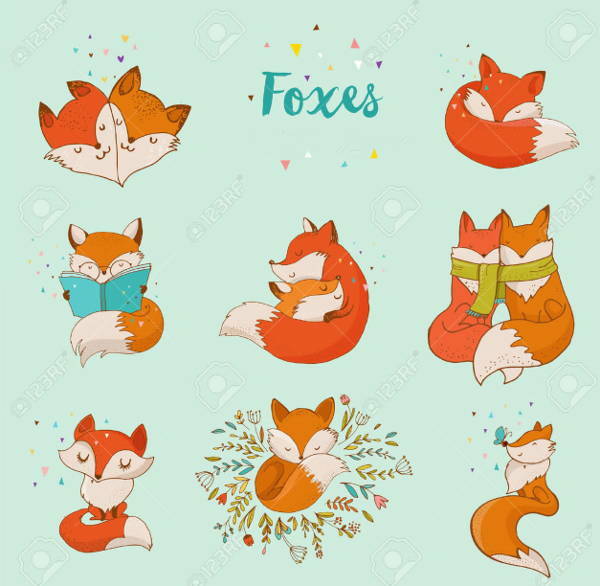 And because we just couldn’t help ourselves, here’s our very own collection of beautiful fox clip arts. They come in a wide assortment of designs and styles and are available for download in JPG, EPS, GIF, PNG, etc. formats. Scroll down and see for yourself! To quell your curiosity, I’m gonna give this section a light dusting of trivial facts about the fox. 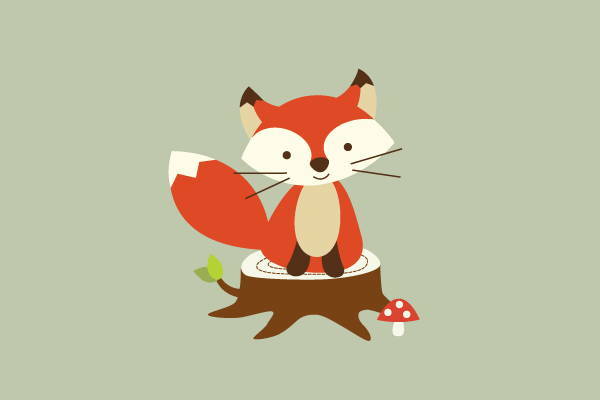 In turn, feel free to pore over our collection of beautiful fox clip arts too, which you surely won’t regret doing as we have quite a variety here. However, if you feel like sating your interest for borders, what with all this talk of Trump’s wall (yep, I went there), here are a few Free Clip Art Borders you can browse through instead. Fact #1: A fox can run at a speed of about 23 miles per hour for short periods of time. 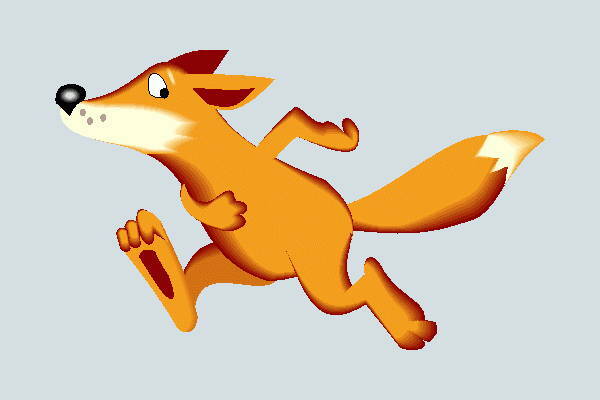 “Running Fox Clipart” definitely illustrates that. 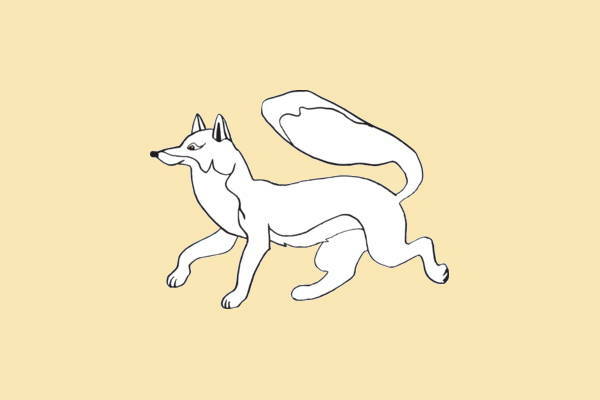 Another illustration of the active lifestyle of foxes is “Dancing Fox Clipart” (no, they don’t really dance, nor are they familiar with the Gangnam Style). Fact #2: Baby foxes live with parents until over six months old. Fact #3: Gray foxes can retract their claws like cats do. 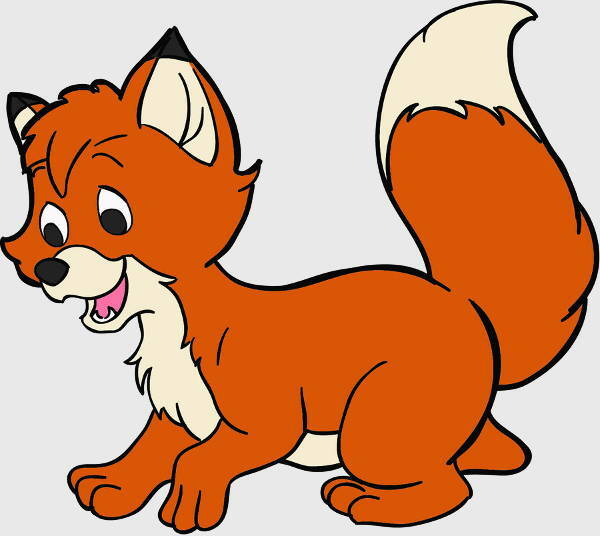 I doubt foxes have made an appearance in coloring books as much as teddy bears and butterflies have. Here’s your chance to nab something unique! 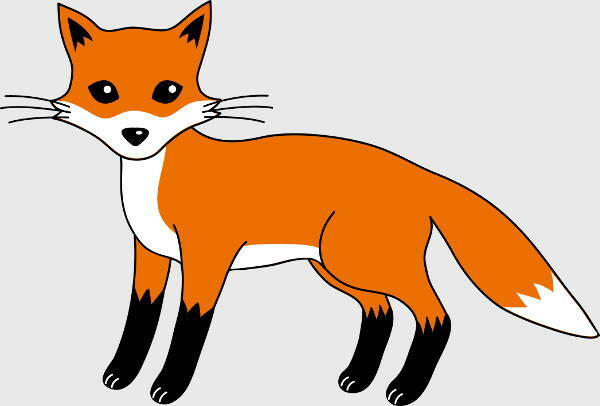 Download “Fox Black and White Clipart” and/or “Fox Outline Clipart,” print them out, and get busy with your Crayolas. Given the layout of “Fox Vector Clipart” and the quality of the illustrations, it’s hard not to see them in sticker form. A little bit of sticker paper and some printing action will make that possible. Also, you can use them to make various other things like mementos, bookmarks, scrapbooking cutouts, etc. 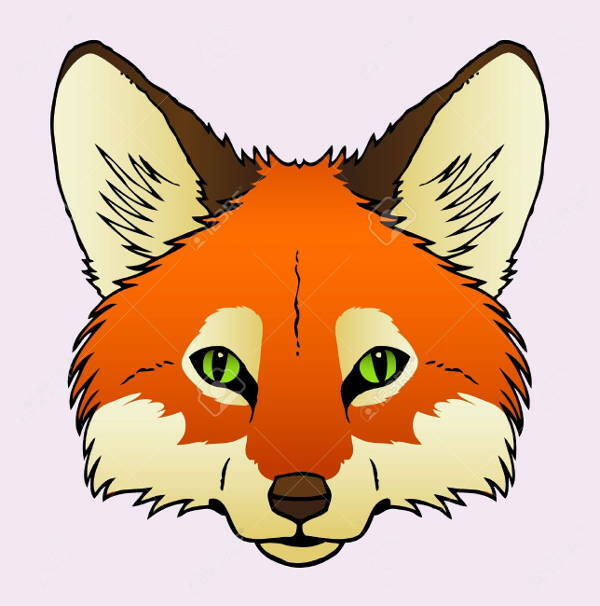 The great thing about “Fox Face Clipart” is that it’s available in an EPS format. You can blow the clip art up to the size you want without jeopardizing the image quality, and create your own fox mask. Perfect for those Halloweens when you’re just not feeling it. There you have it. You can now check out the links and download in peace!